Argyroxiphium sandwicense subsp. 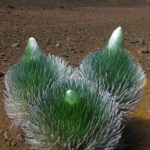 macrocephalum is a clumping perennials with rosettes up to 20 inches (50 cm) in diameter, of numerous long, sword-like, succulent leaves covered with silver hairs. The plant’s base of leaves, arranged in a spherical formation at ground level of the plant, dominates for the majority of the plant’s life, which may be greater than 50 years. 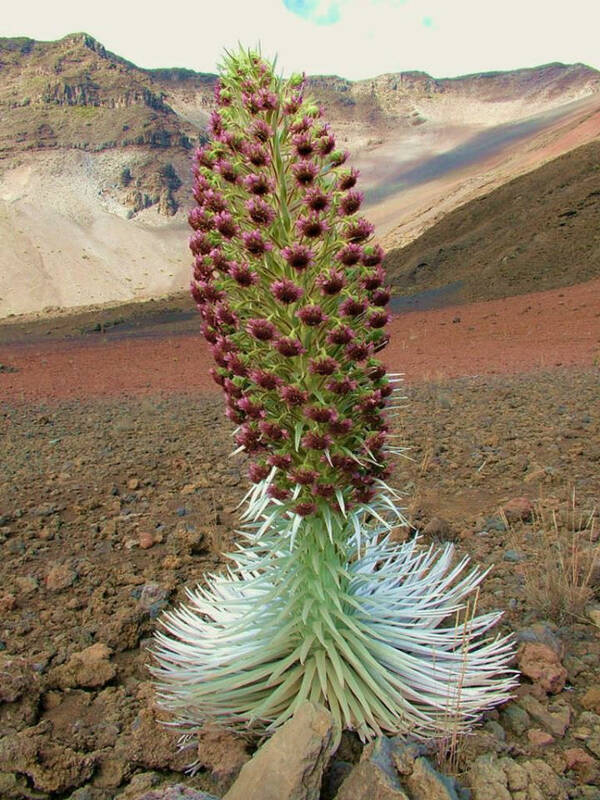 A tall, stunning flower spike appears after many (15 to 50) years and then the plant dies. USDA hardiness zone 10a to 10b: from 30 °F (−1.1 °C) to 40 °F (+4.4 °C). 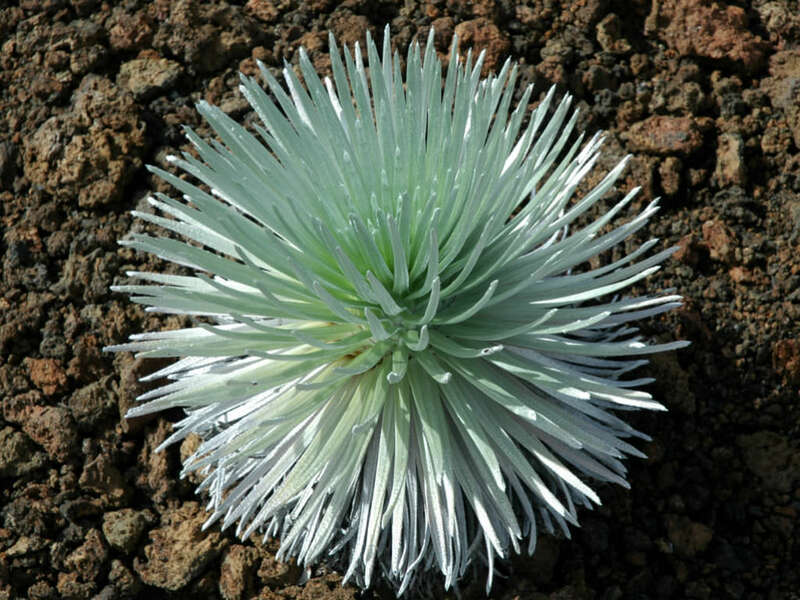 The Silversword alliance is a group of about 50 species of plants belonging to three genera endemic to the Hawaiian islands. 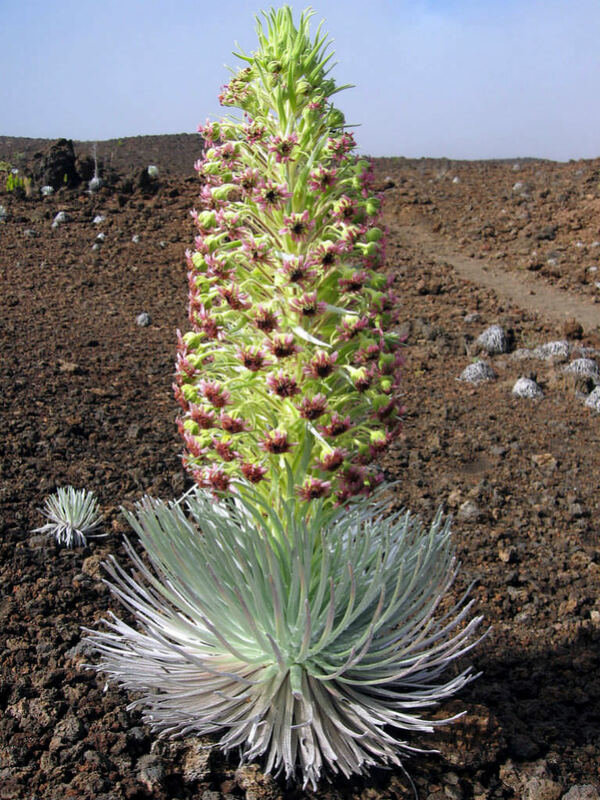 They get their common name from the visually impressive Silversword. 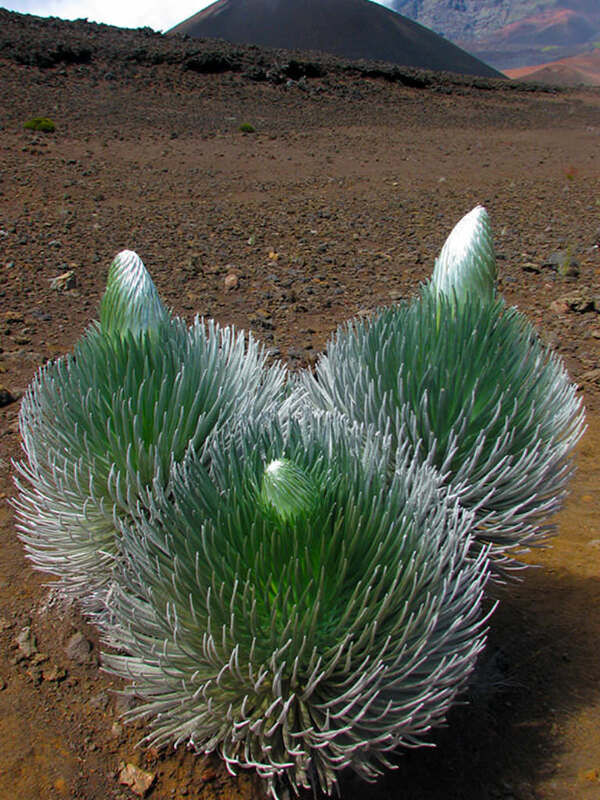 These plants only flower once in their lifetime, the silver rosettes grow for a number of years before the inflorescence ascends skywards. Flowers appear from mid June to November, and after the seeds have been shed the whole plant dies. These exotic-looking plants are ideally suited to their harsh environment. The silver leaves reflect the sun’s rays whilst their shape prevents moisture loss and protects the more delicate center of the plant from predation. These attractive plants were previously collected as curiosities. Climbers on the mountains would dig them up as proof that they had reached the summit. Populations were further depleted by browsing and trampling by goats and cattle in the area. 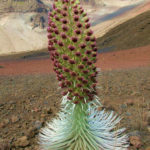 Today Argyroxiphium sandwicense is restricted to a single population of as few as 30 plants in the Wailuku River basin on Mauna Kea in Hawaii. These plants are at risk from the small size and range of their population, which is vulnerable to any chance event that might occur. 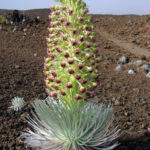 The Hawai’i Silversword is protected in Hawaii. It is endemic to Hawaii (the island of Maui).